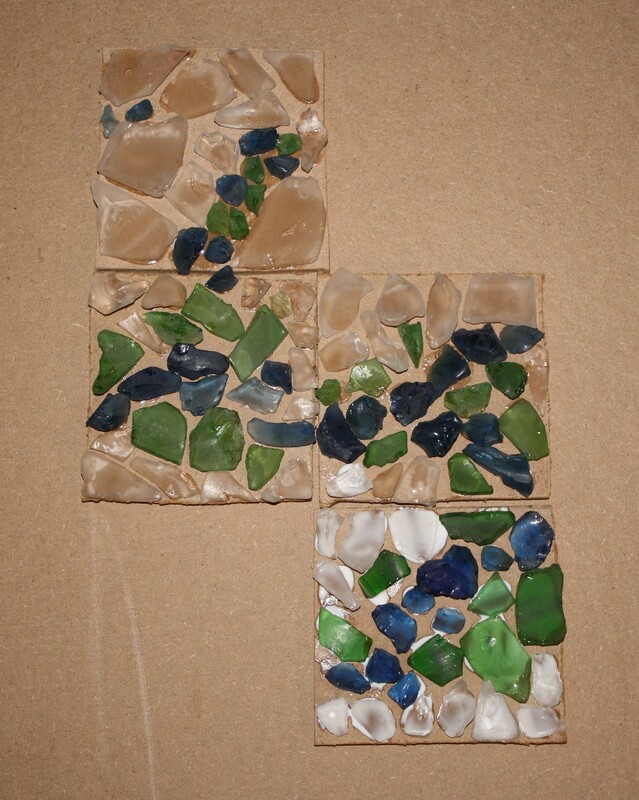 I did the last beach glass road mosaic tonight. Who knows though, it could come up again before the year is over. 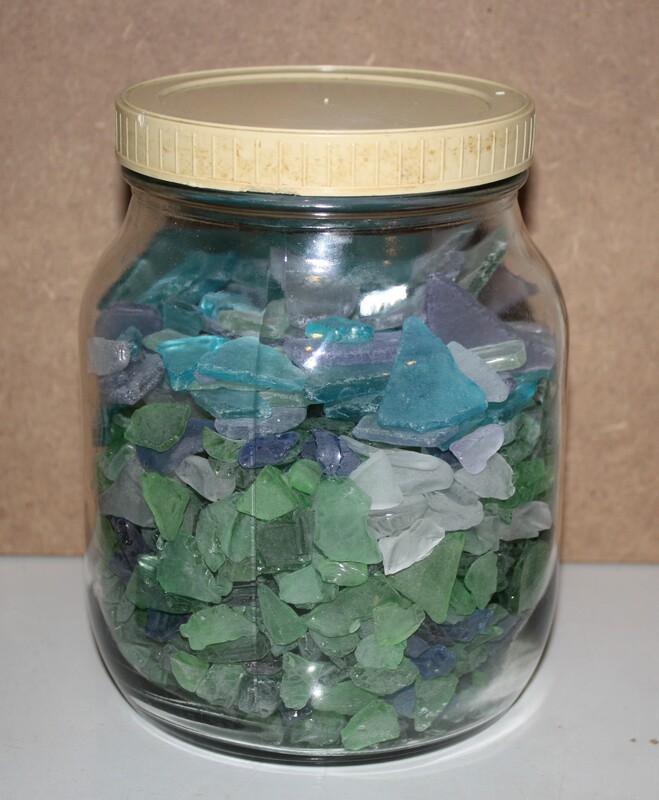 I now have a big jar full of beach glass because I love it and got obsessed with buying it. I think I’ll make a stepping stone with it. I decided to rearrange the pieces to make a more interesting shape. Looking forward to seeing this grouted!